A recent report published by China's State Post Bureau has confirmed that China overtook the United States to have the highest express delivery volume of any country in the world last year. According to the report, a total of 13.96 billion items were handled and delivered by express delivery companies in China in 2014, a 51.9 percent increase over the previous year, with a daily volume of 38.25 million items. Delivery services in the country received a total of 204.54 billion yuan (US$32.95 billion) in revenue in 2014, a 41.9 percent increase over the previous year. Express delivery companies have also improved their service as the market has surged, with fewer complaints about delivery received in 2014. According to statistics from the country’s post service complaint center, a total number of 719,000 complaints were made, including 239,000 valid claims. Delayed, lost or damaged packages and dissatisfaction with service were the major problems report by complainants, and 96.1 percent of complainants were satisfied with the center's response to the complaints. SF Express received the highest customer satisfaction rating, followed by EMS and ZTO Express. The following are the top 10 courier services in China in terms of customer satisfaction. 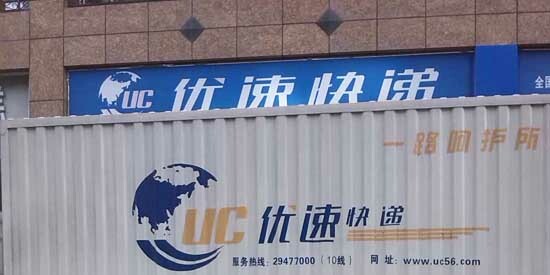 Are you happy with the service of express delivery companies in China? Let’s have a look at the ranking of these companies by customer satisfaction.